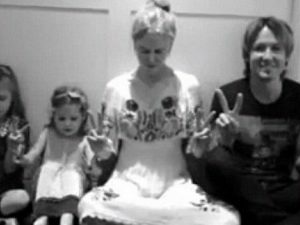 Last week, Nicole Kidman and Keith Urban staged a publicity shot in which they prayed for peace to promote a new country song. 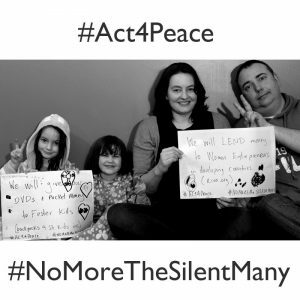 My family and I discussed this and decided we would find ways in which we could ACT for peace instead. To that end, we have opened an account with Kiva.org, through which we make small loans to entrepreneurs who just need a little capital to change lives in their communities. To their credit, our little girls have agreed to give up some pocket money, toys and clothes to support Backpacks 4 South Australian Kids, a small group that gathers donated items to give backpacks to kids going into new foster care places so they have something of their own to take with them. And that got me thinking about Baristador Coffee. As of August 2014, I will take 5% of all coffee sales aside and donate to important projects seeking funding through Kiva in countries from which we source our coffee beans. This will not always be completely self-funding because I mean it when I say we run on the slimmest of margins but any shortfall will come from our family because no matter how tight things might get from time to time, the pain we feel is nothing to that felt in less fortunate parts of this planet. To my loyal coffee lovers who have stuck with us over the years, I am not asking you to change any habits or feel obliged to order more coffee. All I would like you to do is just feel better each time you take a sip of Baristador coffee, knowing that a little bit is heading back to the communities and nations that nurtured the beans that nurture you. To first time readers, I urge you to try Baristador coffee knowing that even if it is not to your palate, you would’ve helped make the world a better place. After each group roasting, I will add an article about the project you helped fund. Until then, let’s toast this new meaning of coffee culture!